While the eastern United States lays in the throes of winter snow and cold, our thoughts turned to what life must have been like in centuries past. You can see some of this at Hopewell Furnace National Historic Site in rural Pennsylvania. This park unit preserves a historic village built around the production of iron; an example of an early “iron plantation”. 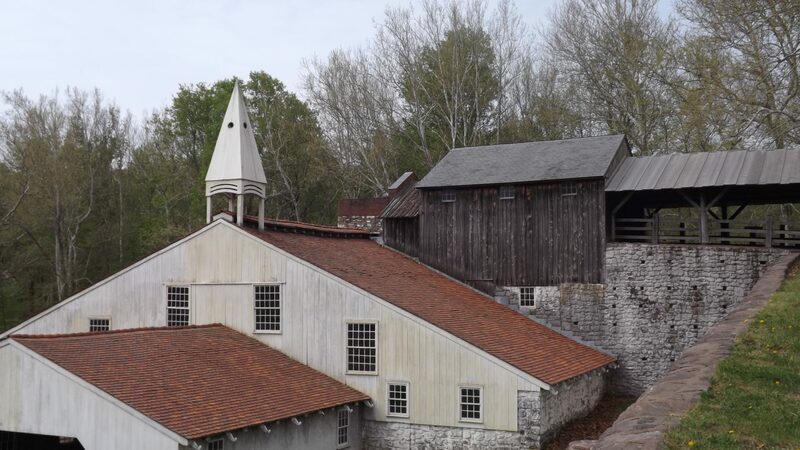 The furnace was built in 1771 and was in operation until the the late 1800’s when the process of making iron using charcoal-fueled furnaces was replaced by more modern steel mills located in urban areas. It’s most significant production was during 1816 to 1831, with a brief bump in production during the Civil War. The last blast ended June 15, 1883. After that, the property became a summer home of the owners, finally to be sold to the federal government in 1935. In 1938, Hopewell was designated a National Historic Site; protecting 214 acres. It was one of the earliest cultural units to become part of the National Park System. 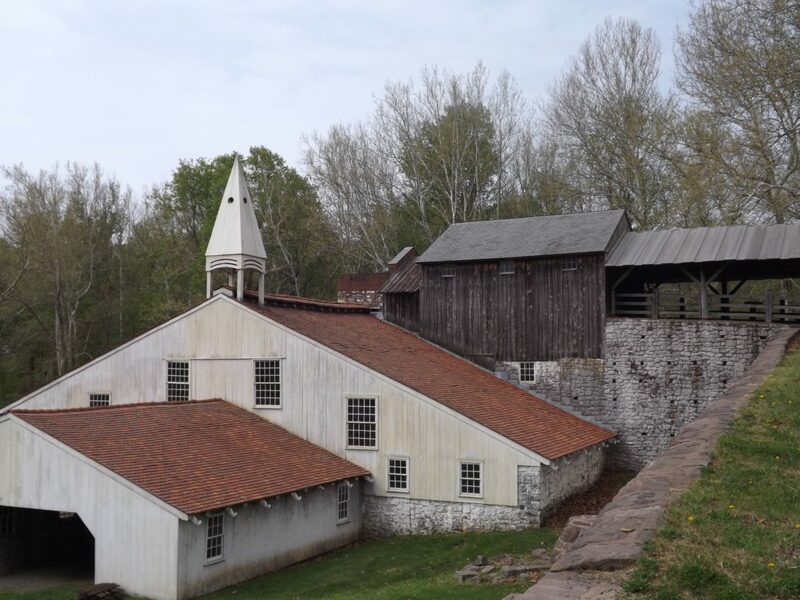 Not only does Hopewell Furnace National Historic Site preserve the furnace itself including the water wheel, it also preserves many original buildings including homes, cooling shed, smoke house, barn and more; most open to visit. You can really imagine what life must have been like when iron making was fueled by charcoal. The site is surrounded by the woods that would have fueled the furnace; bordering the park are 848 acres of woodlands – Hopewell Big Woods, French Creek State Park and state game lands. Of course the highlight of your visit will be the furnace itself. Step inside the furnace, pick up some of the heavy tools they used and imagine how strong these workers were; winter and summer, day and night, working in the fiery heat and ever-present soot and dust. 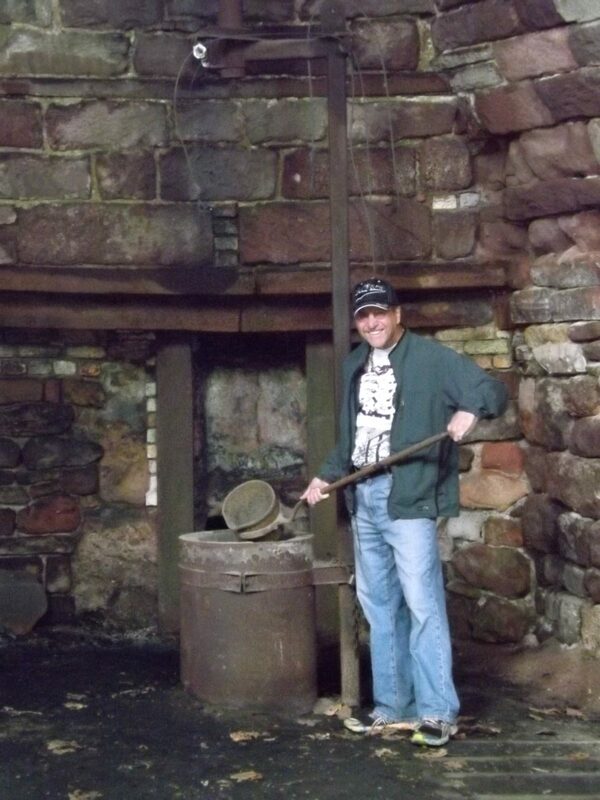 You can also visit the charcoal hearths and hear more about this process. Usually they were located in the cleared area where they had just harvested the wood to be used make the charcoal. It was a pretty interesting process – much more than just throwing a bunch of wood on to a pile and setting it on fire. 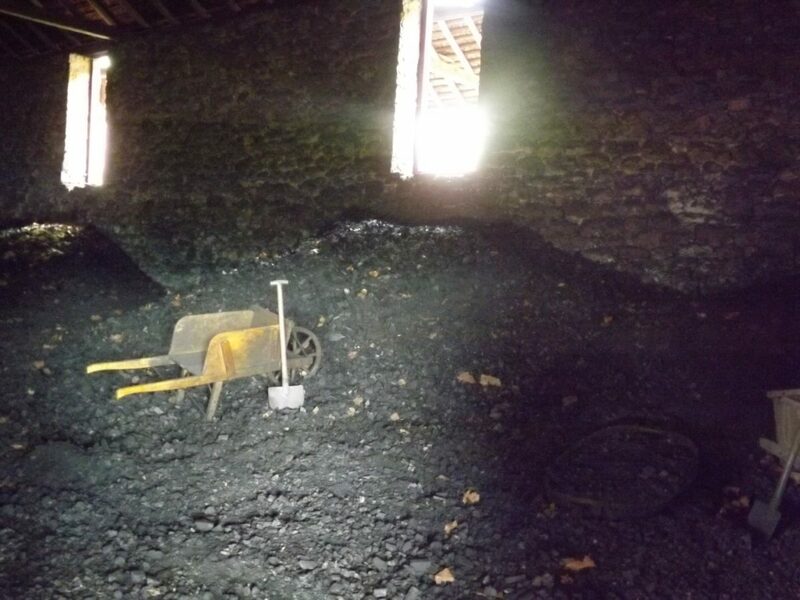 It took almost 2 weeks and the collier (charcoal maker) tended the pit 24 hours a day during that time to ensure it was entirely charred. You can also picture all of the loggers; it took about an area a day to generate the charcoal that fueled the furnace! The ancient forests in that area were one of the reasons they located there (along with a supply of iron ore); the reason these old growth forests are no longer there. The furnaces ran day and night, and the entire community was built around this. Not only were there the folks who worked in the furnace – keeping the furnace stoked, directing the molten iron and casting it into molds; there were woodcutters, teamsters, miners, and colliers, plus wives and children; seamstresses, farmers and schoolteachers. You can picture this bustling community as you walk around the various buildings. It was hard work for everyone but unlike many industrial jobs of the time, they were in the country, so workers and their families could escape to the woods or to go fishing! And they were relatively well paid, especially when the products were good. There are some great examples on display of the end products. Our favorite were the cast iron stoves and stove plates, but they also made other products like cast iron pots, skillets, flatirons, anvils and scale weights. They were best known for the famous coal and wood-burning “Hopewell Stoves” – favored for their high quality. As always, plan to start at the visitor center where you will learn about the site and can view a 15 minute introductory film. They also have a nice museum with samples of the products made there. Depending on the time of year, there will be live demonstrations and costumed rangers to make the village come alive. There is a self guided tour, with lots of interpretive signage, and you are welcome to bring your dog (although they aren’t allowed in the buildings). It is a working farm so as you walk around, you can really picture all of the people in the village working to support the furnace workers. We especially found the the springhouse interesting… you don’t really think about life before refrigeration. Instead of an ice house, here they kept dairy products cool by storing them in a trough filled with cool spring-fed water. There is a huge apple orchard on the property and in the fall, the national park service opens it up to allow families to come out and pick their own apples! We weren’t there then, but that would be pretty special! 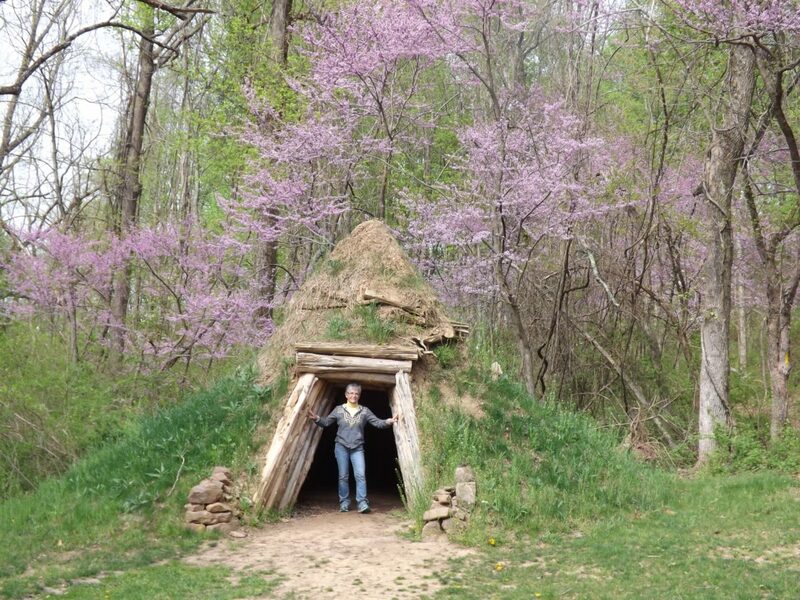 If you like to hike, there are many trails to choose from, both in Hopewell Furnace National Historic Site and through the state parks that surround it. Really you can just choose your distance and then pick a trail! Many visitors to Pennsylvania will seek out better known national park units, like nearby Valley Forge National Historical Park. But you may not realize that one of the reasons that Washington located his armies in Valley Forge was to protect the supply line of bullets coming from iron furnaces like Hopewell; located up and down the Schuylkill River. 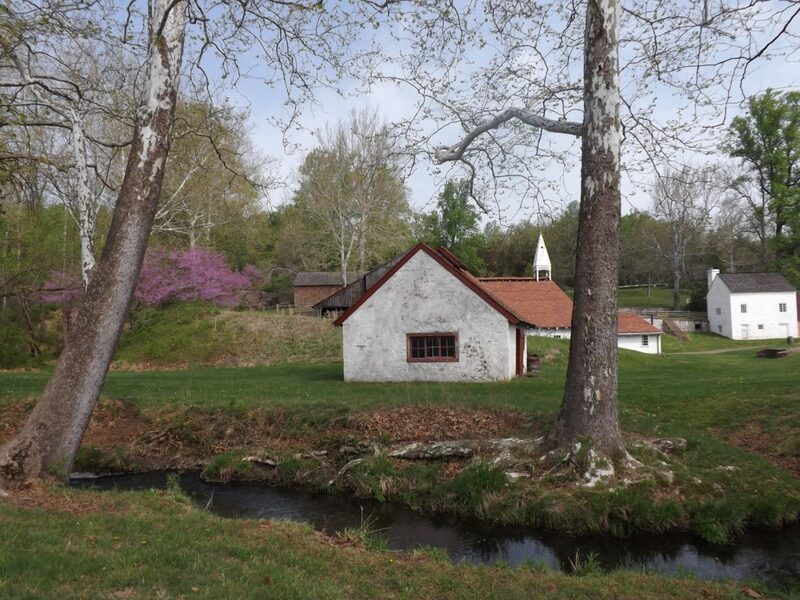 If you are thinking of visiting Valley Forge, or other places nearby, be sure to include Hopewell Furnace National Historic Site in your itinerary. You’ll be glad you did!